Most parents don’t realize how often baby eczema is triggered by food allergies – indeed, how often it is the first sign of food allergies. In one study, about 40 percent of babies with eczema had proven food allergies1. And the more impressive the rash appears, the more likely there is a food allergy involved. For the third of babies with the worst eczema, more than 96 percent have a proven food allergy connection2. Could probiotics for baby eczema benefit these children? Babies with eczema often have different ratios of beneficial bacteria in their guts, compared with other healthy babies; perhaps these bacteria are part of the allergy-eczema link. In an April 2005 study, researchers investigated whether giving babies probiotics (beneficial bacteria) could improve their eczema. There were 230 babies in the study, ranging in age from 6 weeks to just under one year old. All of the babies in the study were suspected of having a cow’s milk allergy. All of the babies were switched to cow’s-milk-free diets (and their nursing moms to cow’s-milk-free diets). All of the babies were treated with topical medicines. Some of the babies also received daily supplements of probiotics; the rest received placebo capsules. The people evaluating the babies’ symptoms didn’t know which babies belonged to which group. The results of the study were published in the April 2005 Allergy3. All of the babies in the study improved, by an average of 65 percent. But those babies with either a positive skin test or blood test for food allergy enjoyed a 32 percent greater improvement if they got the probiotic Lactobacillus GG (LGG) supplement than if they got the placebo capsules. 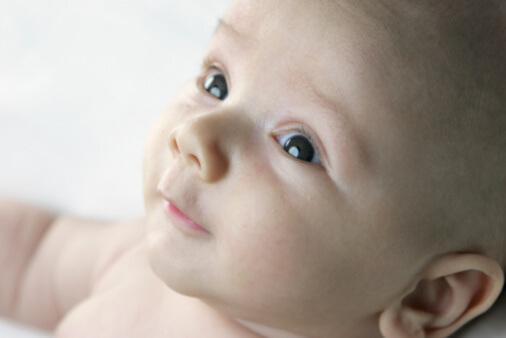 More research is needed to clarify the role of LGG, and of probiotics in general, in the treatment of eczema in babies and in older children, but this study suggests that the use of probiotics is promising. I’m especially pleased to see positive results for this gentle treatment shortly after the FDA issued its strong warning against the use of some of the harsh topical creams and ointments in children under age two. 3 Allergy 2005; 60:494-500 (Probiotics in the treatment of atopic eczema/dermatitis syndrome in infants: a double-blind placebo-controlled trial). Note, this study received funding from Valio, Limited, which is owned by 27 dairy cooperatives. They process over 80 percent of the milk in Finland. They also developed and patented the Lactobacillus GG probiotic.